The Big Local Trust has awarded £1 million to Copley Close, Cuckoo estate and Gurnell Grove estate, in Hanwell, Ealing to help develop new community facilities over the next 10 years. The improvements will be decided by residents and implemented throughout the area. 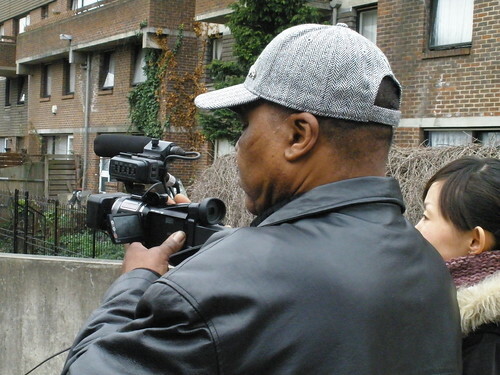 This is a short participatory film made by Spectacle and shot by young people from the area about the changes the community would like to see on their estate. It is also a documentation of the estate as it is now. We hope to revisit in the future to document developments. The Big Local is a Big Lottery funded project that is awarded each year to a Local Authority. Among the current projects based in London there is Clapham Junction/West Battersea, Peabody Avenue and Churchill Garden Estate, North Brixton, World’s End Estate and Lots Road Area, Wormholt and White City, South Bermondsey and Somers Town. 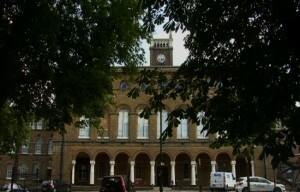 London Borough of Ealing was asked by the Lottery to put forward three areas within the borough that would benefit from the funding. The Big Local Trust eventually selected Hanwell because it felt it was in greatest need of new facilities, as stated by Ealing Council. The area has approximately 9,611 residents. It covers Copley Close, the majority of Cuckoo estate and it goes along the Ruislip Road to include Gurnell Grove estate. Here ‘s a map shown by the Hanwell Big Local webpage. Hanwell Community Centre at the heart of the Hanwell Big Local neighbourhood improvement scheme. Among the upcoming changes, Copley Close Community Hall and The Base will be demolished and most activities relocated to an improved Hanwell Community Centre –now under Ealing Council control– with space and potential for new uses and facilities. Hanwell community group Empowering Action and Social Esteem (EASE), which works to improve the lives of people living on the Copley Close Estate, will also be moving temporarily to the centre with a hope of staying there. For the past few years, it has been located in The Base. EASE has been chosen to create the vision for the changing area and has been trying to get everyone involved in the process ever since. This film is part of their message to the people living in Copley Close, Cuckoo and Gurnell Grove estates. 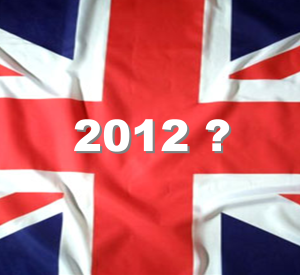 It offers a wide range of ideas which are hopefully just the beginning of the discussion. The Counter Olympics Network (CON) held a conference on the 14th April at the Bishopsgate Institute where they discussed the problems that the 2012 Olympics has caused and planned points of action for the coming months to tackle such issues. They were joined by international speakers Derrick Evans from the Gulf Coast Fund for Community Renewal and Ecological Health, Bryan Parras from the Texas Environmental Justice Advocacy Services (t.e.j.a.s) and Clayton Thomas Muller from the Indigenous Environmental Network. Together they spoke about how their projects have been affected by previous Olympics. More specifically on the issues of corporate sponsoring, pollution, gentrification and surveillance that the Olympic Games bring to cities. BP is one of the sponsors for the London 2012 Olympics, as the ‘Official Oil and Gas Partner’ as well as sponsoring the USA Olympics Team. The corporate sponsorship of the Games by BP has angered campaigners who want to publicise the adverse effects BP contributed to the natural environment. Derrick Evans is one such campaigner who argues that BP’s involvement with the Olympics is an attempt to divert attention from its “incomparable contributions to unsustainability globally”. He gives the example of the Deepwater Horizon Spill when BP discharged two hundred million gallons of crude oil into the gulf of Mexico in 2010 and then “applied nearly two million gallons of chemicals dispersant of Correxics not clean up, but to hide because it has the effect of breaking the oil up.” This has resulted in oil particles being consumed by the smallest life forms in the gulf and therefore infiltrating the whole food chain. 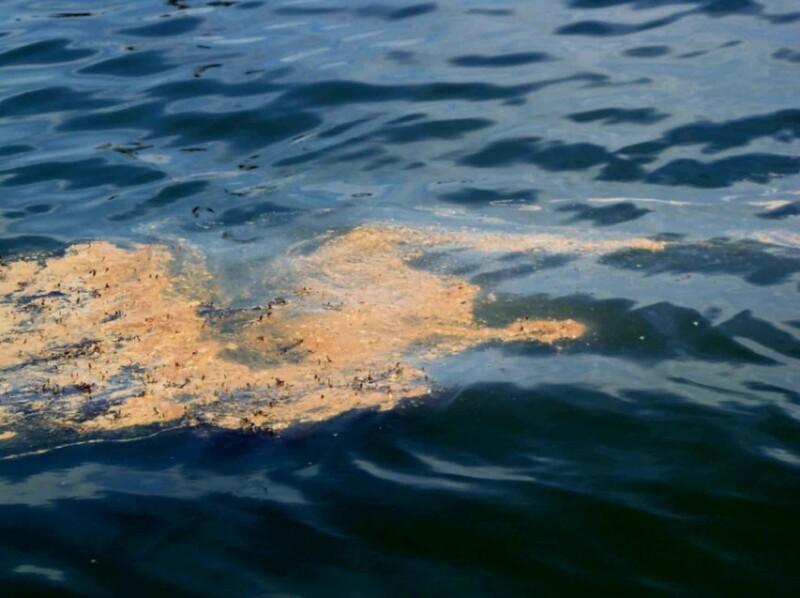 Two years on the oil is still present and washes ashore in the Northern Gulf. 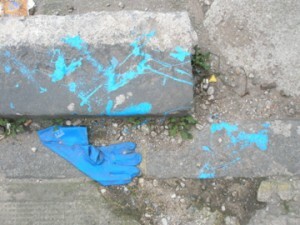 The health of the local population has deteriorated considerably since the oil spills. “Thousands, tens of thousands children and adults are exhibiting in large scale, physical symptoms: respiratory issues, skin issues, loss of short-term memory, a lot of the same issues, they don’t know each other.” And these people have not received any compensation, “they haven’t received a dime.” What is more worrying is that not a single cent of BP’s twenty billion dollar Gulf Coast Trust Fund has “pay for a single medical bill for a single person”. The aim of the Gulf Coast Fund is to “seeks to assist and renew and empower the most vulnerable of the communities and ecosystems on the gulf coast.” The very same ones that have been affected by the BP Oil Spills. Bryan Parras is a campaigner from Houston, Texas who is also campaigning against BP and their involvement with the Olympics. He described BP as a “repeat offender” as they repeatedly have accidents and problems. Five years before the Deepwater Horizon Accident BP had an explosion where 15 workers were killed. BP are “constantly cutting corners and cutting back on their safety measures.” But at the same time they are spending huge amounts of money by sponsoring the Olympics. Bryan Parras sees the “Olympics as just another one of those opportunistic moments where capitalism sort of comes in and reigns its terror on folks.” It’s like watching little league baseball in the stadiums, where “everyone is watching their children and their friends play ball” while their cars get broken into all the time. This seems to happen wherever the Olympics go, everyone is so “focused on where the lights are all shining that we are not seeing what’s happening” to the local communities. Clayton Thomas Muller is an activist for indigenous rights and environmental justice and lead campaigner of the Tar Sands campaign. The Indigenous Environmental Network comprises of indigenous people in the United States who have been affected by unsustainable development. BP’s involvement in the exploitation of the Tar Sands on the East coast of Canada has angered both campaigners and local indigenous communities as the extraction industry is unsustainable, causes irreversible damage to the environment and illegally encroaches on disputed indigenous lands. 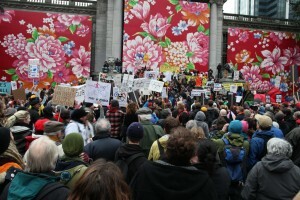 In Vancouver, the Coalition Olympics Resistance Network or ORN organised and challenged corporate sponsors of the Vancouver 2010 Winter Olympics. One campaign, called ‘No Olympics on Stolen Native Lands’ brought together different groups who were fighting for Native rights and sovereignty platforms in opposition to the Olympics. The Olympics caused the gentrification in downtown Vancouver where the local communities have been pushed out to make way for villages for the athletes and tourists. This gentrification mostly affected disadvantaged groups: low income, indigenous urban-based people. Campaigners are therefore concerned with how the Olympics “created division that used poverty and alleviation as a way to divide different social movements that were converging onto the Olympics.” Clayton Thomas Muller concludes to say that it is absurd that BP is a sustainability partner of the Olympics, “it is nothing more than greenwashing of their horrific human rights abuses and crimes of ecocide against the sacredness of the earth”. The official agency behind promoting tourism for London has admitted that the 2012 Olympic Games could lead to a lull in visitors to the capital next year, which may have a damaging impact on the UK’s stuttering economic recovery. 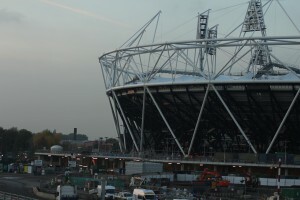 London & Partners has acknowledged there “could be a problem” with people not wanting to come to London over fears, such as over-crowded transport, a lack of, or high prices for, hotel rooms, and the capital resembling a building site, from 1 January until the Olympics end on 27 August. On Monday we had a successful afternoon filming location shots around the Silwood estate including Regeneration Road and Oldfield Grove. We also filmed shots of the incinerator and the work site near by. We are coming to the end of this series of inter-generational workshops, so why not get involved and make the most of the last workshops! We will be holding a public screening shortly to show what has been filmed during this series. The Silwood Video Group continued this week as workshops were held on Tuesday in the Silverlock Centre and around the estate. We were able to conduct our usual sound and video workshops, taking new location shots around Silwood and engaging with residents curious about our work. 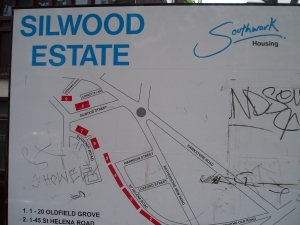 This was followed by a screening in the Silverlock centre from 6 to 8, and preparations were discussed for a joint celebration of the culmination of the Silwood project and Spectacle’s eleventh anniversary of filming on the estate. Watch this space! We had our first workshop with the Silwood Video Group on Tuesday, which allowed us to get a lot of new footage and more location shots to add to our ever-expanding archive. We are looking forward to getting the project up and running, with lots of positive contributions by residents. We are lining up interviews with pensioners and schoolkids alike, trying to get to the root of the changing nature of life on the estate. Room 517 (5th floor), Bartlett School of Planning, UCL, Wates House, 22 Gordon Street, London WC1H 0QB. In a press release issued today the Battersea Power Station Community Group challenge the Power Station owners, REO/Treasury Holdings, claims of local support following consultation. Be sure to register your views to Wandsworth Council before the February 1st deadline. We feel that there should be better statistics behind this bald statement. The survey was self selecting through a simple questionnaire which literally asked to agree disagree or be unsure. There is no attempt to put the result in context of numbers of people responding. On the 2 occasions we were at the exhibition there were few people attending. No notices to guide people to the exhibition and, apparently, inexperienced staff explaining the content of the models. We fail to understand the purpose of this other than as PR during the period leading to the planning application when comments should be received at Wandsworth Council by February 1st 2010. The questionnaire also asks the simple question to agree, disagree or not know if a tube line and station is supported. Again, we know that the Minister for Transport Sadiq Kahn called the idea “humbug” and that there are no plans for the Government to financially support the tube line and that the Mayor of London has his own problems with a £5 billion deficit in the GLA transport budget so no money from there either.